Sister Helen is known around the world for her tireless work against the death penalty and has been instrumental in sparking national dialogue on capital punishment. Her book, Dead Man Walking: An Eyewitness Account of the Death Penalty in the United States ignited a national debate and inspired an Academy Award winning movie, a play and an opera. 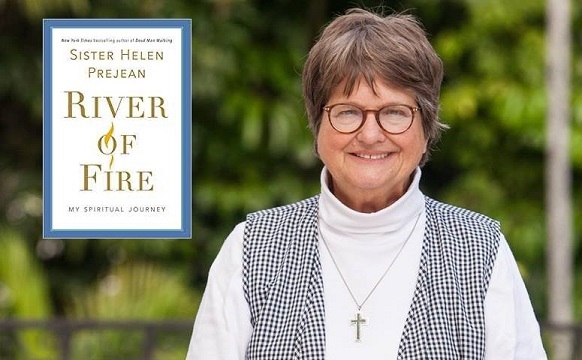 Sister Helen has recently finished writing her third book, River of Fire, a ‘prequel’ to Dead Man Walking. Books will be for sale on site and the author will be available to sign.